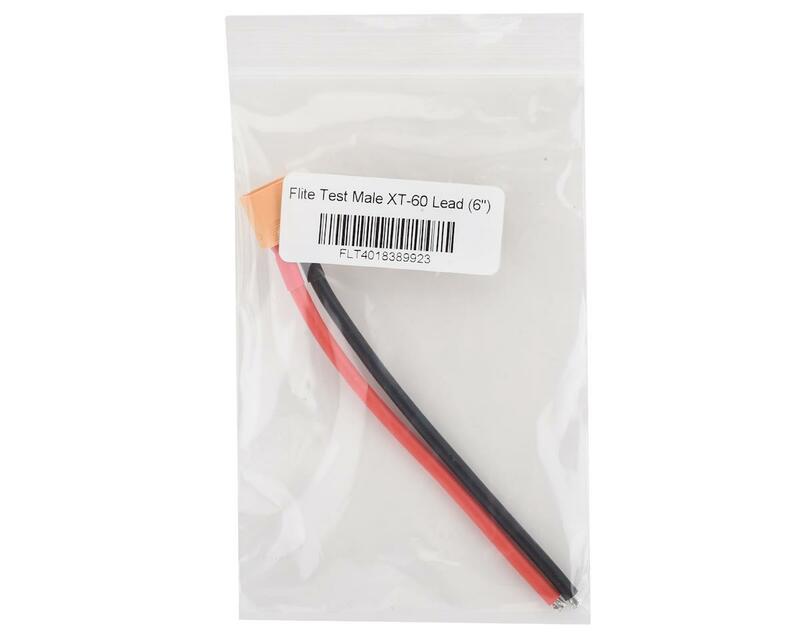 This Flite Test XT-60 Pigtail Lead features a 6" long red and black leads, attached to a male XT60 plug. Soldering required. 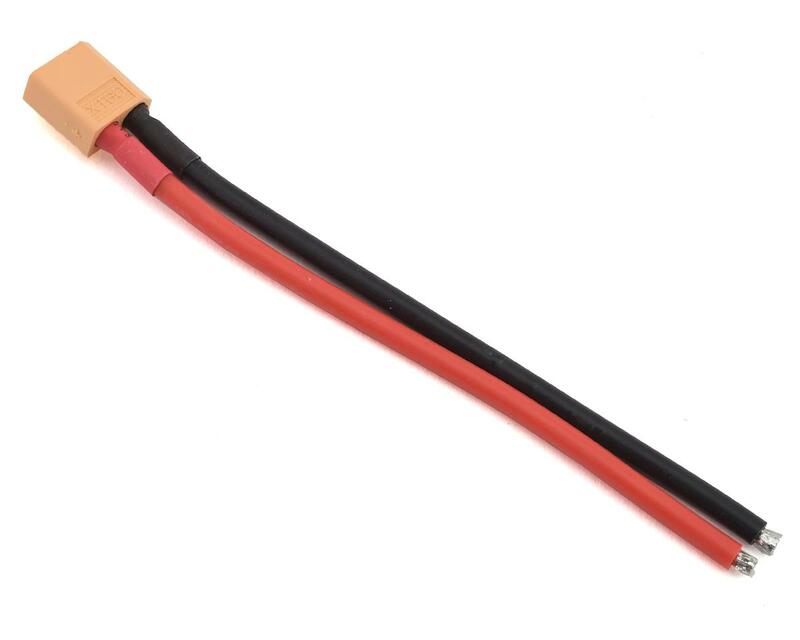 This male end can be used for a charge lead, or soldered to your ESC as a device lead.